What is a Chapter Challenge? Nine chapters are selected in consultation with the Metropolis Presidents, one from each Metropolis, at each National Convention. They are given $100 seed money each and the challenge is to select a project that reflects the work of Philoptochos. Chapters develop, design, and implement a project of their own creation and choice. Some suggestions are literacy, the disabled, food bank, shelter for women and/or children developmentally challenged children, and Alzheimer’s. Projects are monitored and the chapters report and share their experience at the subsequent Convention. The first group of chapters presented at the 2006 National Philoptochos Biennial Convention. Provide needed improvements to the Waiting Area of Shelter Health Services so that the women and children who are served are welcomed into a warm, caring and compassionate environment. 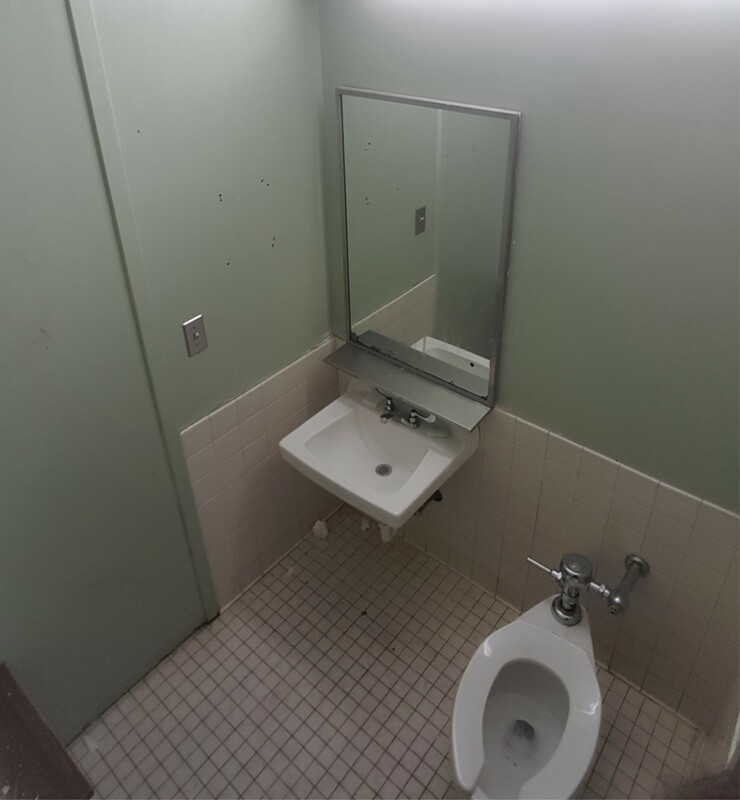 Our main projects are to install secure storage compartments, refurbish the waiting area and update the small restroom. Our deadline to complete this project is May 2020. One of the greatest needs that Shelter Health Services has is secure storage for the belongings of individuals in the Salvation Army Center of Hope's overflow program. The women and children in this program are on a wait-list to to be part of the Salvation Army Center of Hope's official aid program that has reached max capacity. In an effort to provide a warm and safe place to sleep each night, they are given a cot in the cafeteria to sleep on, but must leave the next morning. The women and children leave their belongings, often bundled in garbage bags, in the hallways for safe keeping during the day. Sadly, the women and children can return to find that their belongings have disappeared. Goal: Install six units of secure storage lockers in a hallway adjacent to the Shelter Health Services Waiting Room. 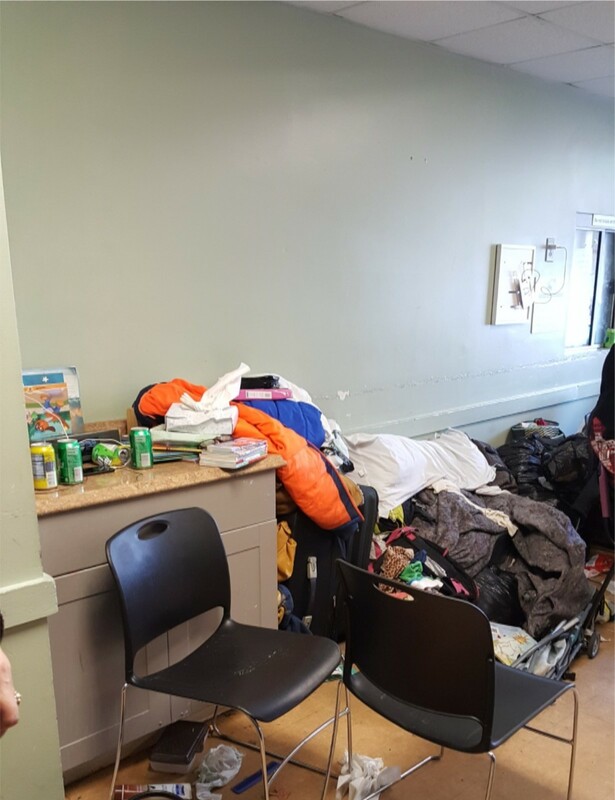 Due to the over-capacity situation facing the Salvation Army Center of Hope, the Waiting Room of Shelter Health Services also serves as a resource room for women and children to have an area to take shelter from the elements after they must leave the cafeteria in the morning. This worn-down room contains a few chairs for people to sit in and is filled with bags of belongings. It lacks the welcoming environment to help instill hope and caring. Goal: Improve the Waiting Room by replacing the ceiling tiles and flooring, installing desk cubbies equipped with charging outlets for cellphones, replace furniture, repaint walls and create a children's area with reading materials. Attached to the Shelter Health Services Waiting Room is a single restroom. While functional, it is not equipped to serve mothers with babies and young children. Goal: Install a baby changing table, electric hand dryer and grab bars. Consider sponsoring one or more items from our Wish List below. Support our efforts by donating to Ladies Philoptochos of St. Nektarios, note on your donation: Chapter Challenge or donate using our PayPal link.